Will Rogun Hydropower plant increase tensions in Central Asia? Tajikistan is in need of energy. Despite its quite favorable location in an energy-rich region, the Central Asian country faces energy-related problems. To solve the uneasy problems, Tajikistan has constructed several hydropower plants on its territory. Tajik President Emomali Rahmon has put forward a goal to construct Rogun Hydro Power Plant (HPP). In November 2012, the Tajik government announced that over $251 million will be allocated for the construction of the Rogun Dam on the Vakhsh River as part of the Rogun HPP project. A few days ago Tajikistan has officially started the construction of the Rogun Dam, a massive project that, if completed, would be the world's tallest and should give the Central Asian nation a stable energy supply. Tajikistan, one of the poorest former Soviet republics, is heavily dependent on hydroelectric power imports and regularly experiences electricity outages. Authorities say the Rogun Dam will be able to provide electricity for the whole country. They say the dam could also provide parts of Afghanistan and Pakistan with cheap electricity. However, this plan is opposed by neighboring Uzbekistan, which voices concerns that the dam in Southern Tajikistan will reduce water flows to its cotton fields, along with damaging the ecology of Central Asia. The Rogun HPP is seen in Tajikistan as a solution to the energy independence and a tool for economic growth. By implementing the project, Tajikistan will be able to generate about 13 billion kilowatt-hours of electricity annually. This will not only help the country to meet its domestic needs but will also make Tajikistan a major exporter of electricity. Disputes over the construction of the Rogun HPP further complicated the strained relations between Tajikistan and Uzbekistan. The economy of Uzbekistan largely dependent on agriculture uses more than 90 percent of its fresh water for irrigation purposes. Uzbek President Islam Karimov has repeatedly stressed that the Rogun HPP will cause problems for Uzbekistan's agricultural sector. Tashkent argues that the formation of a giant reservoir behind the Rogun Dam would affect the flow of water to its cotton fields. In turn, experts also hold contradictory views regarding this issue. On one hand, some experts assure that additional regulation of water in the Amu Darya River would have a serious negative impact on agricultural production as crop growing in Uzbekistan is water intensive and extra water availability in winter does not make up for the reduction in growing-season irrigation capacity. On the other hand, another group of experts considers Tashkent fears that the Rogun HPP would give Tajikistan significant control over the Uzbek economy and crucial geopolitical authority in the region. Uzbekistan, with the biggest population in Central Asia, has always had ambitions to be the leader of the region, they believe. However, the Uzbek authorities say that the massive dam would have an adverse environmental impact and induce higher scale earthquakes in an already seismically active area. According to Uzbek experts, a large earthquake would destroy the Rogun Dam and tens of cities in Tajikistan, Afghanistan, Uzbekistan, and Turkmenistan would be flooded. The Chief Editor of “Problems of National Strategy” journal of Russian Strategic Studies Institute, Ajdar Kurtov, believes that Rogun HPP will exacerbate water shortages in Central Asia, and the project will lead to tensions between Tajikistan and its neighbors, particularly Uzbekistan. “The construction of the Rogun hydroelectric is a gamble. UN scientific surveys, environmentalists, Greenpeace and other authoritative bodies indicate that climate change through one or two generations will result in a significant shortage of water in South and Central Asia,” said Kurtov. It is impossible to prevent this situation, since the countries of the region cannot afford to create a diversified agriculture based on drip irrigation, similar to the ones in Israel, says the expert, adding that transfer of Siberian rivers of Russia to this region won’t happen due to many reasons. The construction of large hydraulic structures, according to Kurtov, will inevitably lead to even greater shortages of water. Candidate for Geological and Mineralogical Sciences, Professor of the Russian-Tajik Slavic University and a former senior adviser to the Prime Minister and President of Tajikistan on the national economy issues, George Koshlakov holds a completely opposite opinion about the impact of the Rogun hydroelectric power station on the ecology of the region. In an interview with Trend he recalled that a full-scale study conducted a few years by a group of international experts has recently been completed with the support of the World Bank, which, in turn, indicates that Rogun project is totally safe for the region. In the meantime, Saroj Kumar Jha, the World Bank Regional Director for Central Asia, believes that the Rogun HPP would not threaten regional security and the slope stability and the proposed dam type "appear to be acceptable." Moreover, he reminded that the Rogun HPP project was developed by Russian "Hydro- project", an institution that has built dozens of hydraulic structures, including the Nurek hydroelectric power station in Tajikistan, which worked without any problem for 40 years and will work for many years. "It is possible that those who are opposed to this project simply do not possess the situation. Perhaps, Uzbekistan is afraid, that the key to introductory resources of the Amu Darya basin will be in the hands of Tajikistan," said Koshlakov. Koshlakov recalled that in 1995, all the countries of Central Asia have signed the Nukus Declaration, which specifies each country's demand in water. "All will get water in accordance with the conditions of the declaration," said the expert. Commenting on the prospects of financing the construction of the Rogun hydroelectric power station, Koshlakov noted that Tajikistan will be able to build a hydroelectric power station without external funding, however, in the future foreign investors can be involved to finance the project. Unlike Koshlakov, Ajdar Kurtov believes that the chances that Tajikistan will be able to attract foreign investors to finance the project are insignificant. 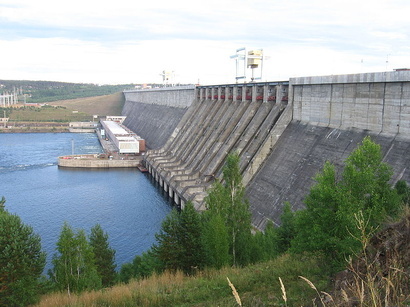 He relates that to the fact that the project of the hydro-electro station was designed back in Soviet times, while 25 years have passed since the collapse of the Soviet Union. Therefore, not many foreign investors would undertake this project. In addition, the expert said that Tajikistan, except the environmental risks, faces the risks associated with the sphere of security, since the country borders on politically unstable Afghanistan. Taking into account the new developments regarding the issue in the region, it seems like the project will remain as a subject of dispute for a while. The Tajik president repeatedly stressed that the Rogun issue is nonnegotiable and that the completion of the project is "imperative" and "of life or death importance" for Tajikistan. He referred to the construction of the HPP as "our national idea" and a "battlefield" for "national pride and honor." However, Dushanbe should consider that Uzbekistan is currently Tajikistan's only supplier of natural gas and its most important transit link to the world. Experts believe that in order "to punish" Tajikistan for construction the Rogun HPP, Tashkent repeatedly stopped the natural gas exports to Tajikistan, refused to allow the transit of Kyrgyz and Turkmen electricity through its power grid and blocked the transit of all rail freight into Tajikistan. Some analysts believe that disagreement between Tajikistan and Uzbekistan over the Rogun HPP is not about technical features of the project or its potential environmental impact. The main problem in the negotiation process is the politicization of the debates. If Tajikistan and Uzbekistan agree on energy cooperation, electricity might become cheaper, while irrigation could be better managed. However, such a scenario appears unlikely given that the project gains more political coloring day by day. It’s worthy to mention that earlier Uzbekistan also rejected Tajikistan's invitation to participate in building Rogun as a way of allowing Tashkent to carefully monitor progress in the HPP's construction. Previously, Uzbek First Deputy Prime Minister Rustam Azimov said that Uzbekistan would never support the Rogun project. The Rogun Hydropower Plant is being constructed on the upper reaches of the Vakhsh River in the Pamir mountain ranges, Republic of Tajikistan. The project is being developed by OJSC Rogun Hydropower Plant (HPP) on behalf of the Government of Tajikistan. The 3,600MW power plant will have an output capacity of 13.1bn kWh, accounting for half of the country's electrical installed capacity. Part of the electrical output from the project will be sold to its neighboring countries, especially Pakistan, conveyed using the Central Asia-South Asia power project (CASA-1000) transmission line. The 13.3 sq.km reservoir created by the dam will further serve the purpose of irrigating 300,000ha of arid land and reduce sedimentation on the existing Nurek Dam, which is located 70km downstream of Rogun. The project is estimated to require an investment of $3.9bn and the dam is designed for an operational life of 115 years. The techno-economic assessment study (TEAS) and environmental and social impact assessment (ESIA) phase for the project were completed in July 2014 with funds provided by the World Bank. The Rogun plant is slated to start generating power by late 2018.